More than 95% of the world cotton production derives from the annual plant Gossypium hirsutum, also referred to as cultivated upland cotton. A considerable amount of academic research has been conducted to clarify the genomic relationships between members of the Gossypium genus. This has not lead to further added value products in a non-genetically manner, resulting into a plateau in product development in cotton. To push for new product development and reduce “time-to-market” cotton breeding companies need access to the commercial cotton genome and implement next generation molecular breeding tools to build & boost a pipeline of added value native traits. Through a shared risk shared cost approach KeyGene has made the commercial cotton genome available to be further exploited. Various cotton breeding companies accessed this valuable information through Keygene’s proprietary tool CottonPedia and were trained how to use these data best. In addition KeyGene and Pacific Biosciences early 2015 even further increased the genome assembly quality. On top we now also have transcriptome sequencing available for access. Seed companies have well organized their breeding cycle and deliver new cotton varieties through hybrid development, novel genetic variation, (re)combined variation and (phenotypic) selection. 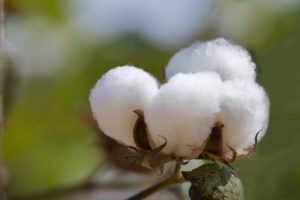 By generating a commercial cotton sequence, cotton breeding companies can further discover and exploit the full breath of their breeding material. The benefits of such genome sequence is accelerated trait development, with delivering new products faster to the market, with IP potential. Access to the commercial cotton sequence allows companies for example to re-sequence, perform trait gene discovery, gene editing, breaking linkage drags and find causative SNP markers.